Although the FIDE World Chess Olympiad 2016 ended some time ago, its games never fail to inspire. Today, we will look at a game from Round 9 of the Olympiad, where Russia's star player Vladimir Kramnik scored a crushing win over Azerbaijan's Teimour Radjabov. 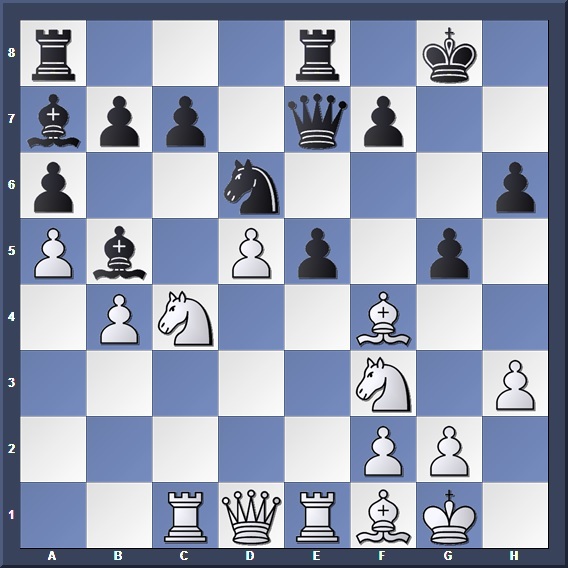 I was unable to find a significant amount of discussion on this particular game, probably because it was eclipsed by the Carlsen - Caruana struggle in the same round. Hence, I have attempted to provide more of my own analysis below. Kramnik is not ready to push d4 yet so he improves his position first. A peculiar move, but it serves a multiple purposes: Prevent Black from pushing b5, and preparing a queenside pawn storm. The knight will be more useful on the kingside, where it is not restricted by enemy pawns. 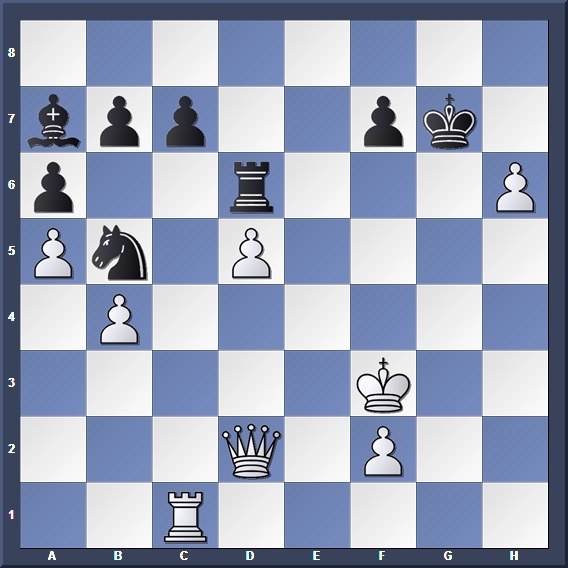 Here it is obvious why Radjabov won't play 11... exd4: White's pawn centre is dominating, and has the strong threat of e5. So for example 12... Re8 13. e5 dxe5 14. 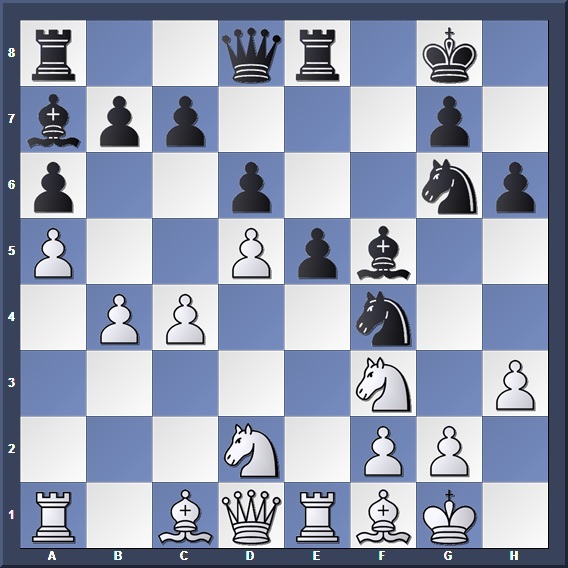 Qb3 Rf8 15. dxe5 Nh5 White has strong pressure on the kingside. Before advancing on the queenside, the path in front of the c-pawn must be cleared. Perhaps it was possible for Black to counterattack on the other wing? 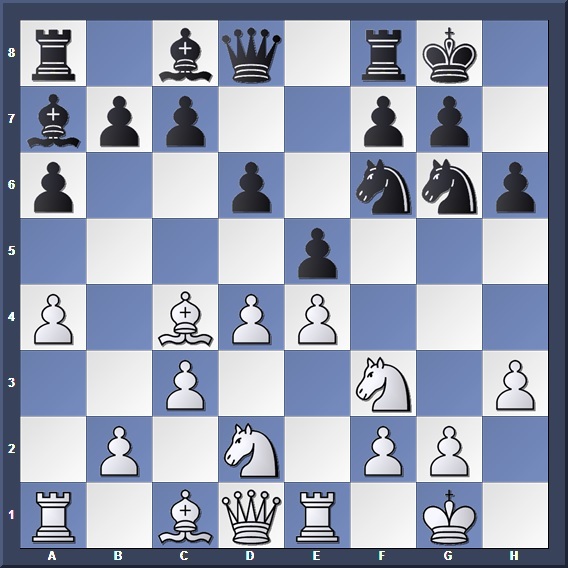 An f5 pawn thrust looks prospective: 13... Nh5 14. b4. Although White's attack looks threatening, most of his army is still undeveloped. Black can use his more active pieces and the open f-file to his advantage. By occupying the dark squares, White restricts Black's dark-squared bishop. Offering a pawn. 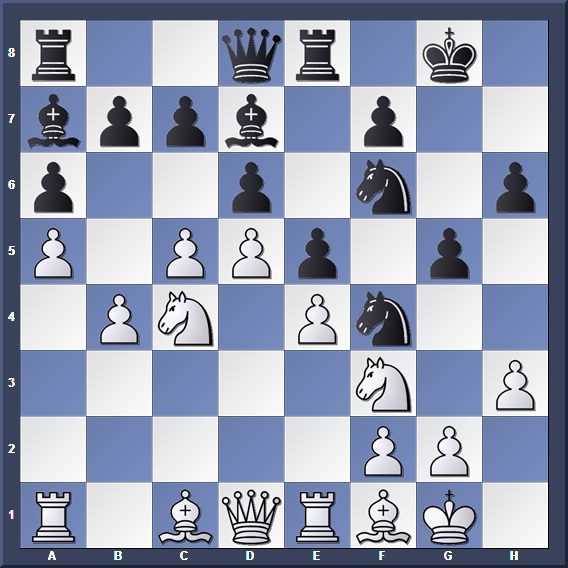 The plan is to weaken the e5 square and attack in the queenside/centre. 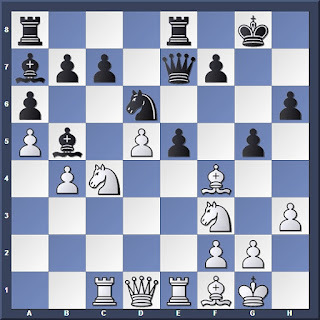 White sacrificed his pawn to gain central space and more piece activity. In response Black exchanges pieces to relieve the tension. Black must prevent White from breaking through on c6. Although White has the advantage, Black holds out for now. The effects of the pin! Black is forced to capture with his g-pawn, irreversibly wrecking his kingside. With Black's king exposed, Kramnik switches his attention from one wing to the other. Radjabov finally gets to exchange, but it is not enough to relieve the attack. The breakthrough. White wins a pawn and with it the game.